You can view various event informations regarding KAGUYA and the information regarding the test contents of KAGUYA. In addition in "Information" page, you can view the various informations regarding KAGUYA. Jan. 05, 2010: Happy New Year 2010! Jun. 26, 2009: Screening the HDTV moon footage. Screening the High-Defintion moon footage, shot by the "KAGUYA" as part of the Science Museum of United Kingdom at 26 june 2009, 17:00 - 22:00 (GMT). Since the lunar orbiter KAGUYA will plan to slam into the Moon at 6:30pm on Wednesday, June 10, 2009(GMT), team "SELENE (KAGUYA)" works to prepare the final operation to impact in the Moon's southern hemisphere, near the Gill crater to get the skill of controlled re-entry (or impact) with high accuracy. 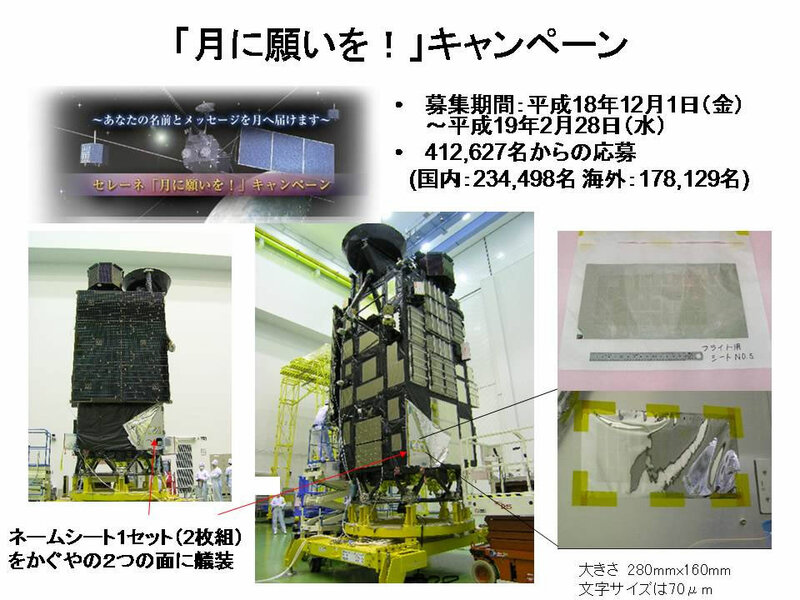 In addition, it may be the last promotion activity for KAGUYA project by using KAGUYA (SELENE) satellite itself for people around the world. From this page, if someone plans to see the KAGUYA impact at observatory with big telescope like as 3.6 meter telescope in Hawaii, please contact with us by e-mail (sel_hp@jaxa.jp) and let us know who, how and where. In addition, it is very appreciated if you can also provide the result of observation. REMINDER: Impact time / location information will be updated by using the latest information of KAGUYA orbit and satellite condition. 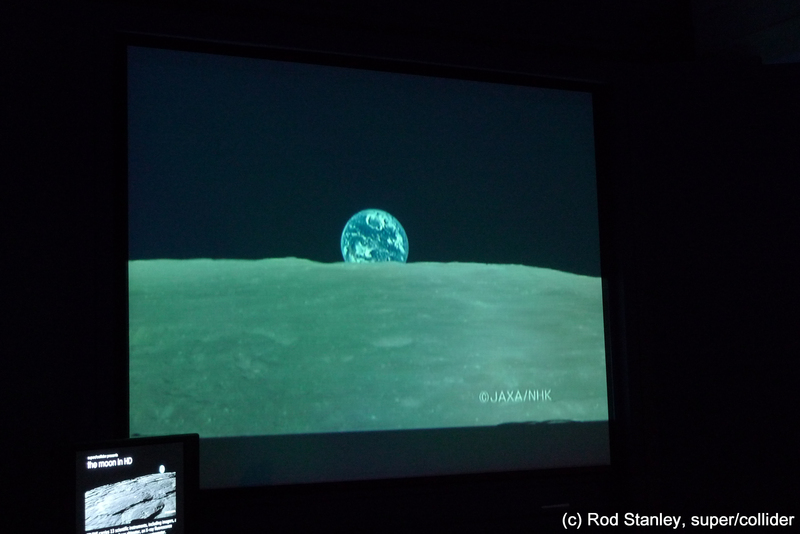 "The Moon and Earth observed by Japan's Lunar Explorer 'Kaguya (SELENE)'" presentation at the Seattle Cherry Blossom & Japanese Cultural Festival (Friday through Sunday April 17 – 19, 2009) on April 18. Four KAGUYA research reports using observation data from the Terrain Camera (TC) onboard the KAGUYA and a perspective titled "Seeing the Missing Half" were published as part of a KAGUYA special edition in Science Magazine dated February 13, 2009. 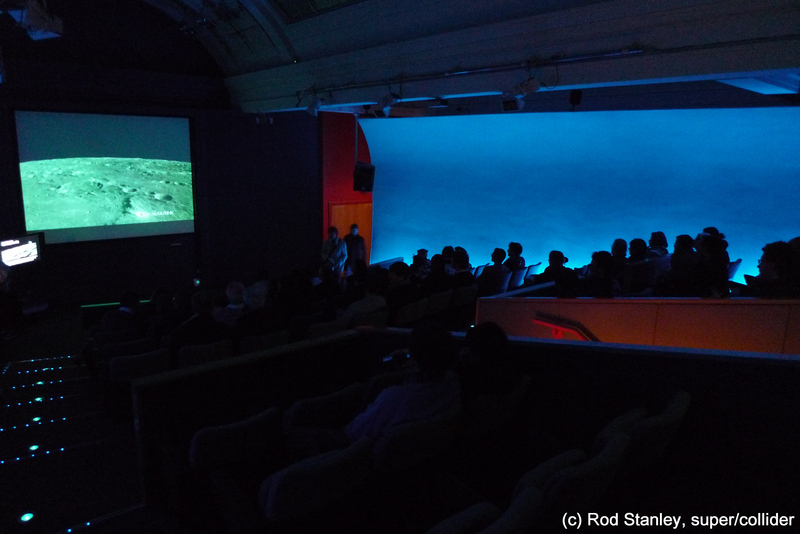 Screening the High-Defintion moon footage, shot by the "KAGUYA" as part of the Science Museum of United Kingdom. And will be followed by a Q&A with "KAGUYA" project member, live from Japan at evening on 28 january (GMT). 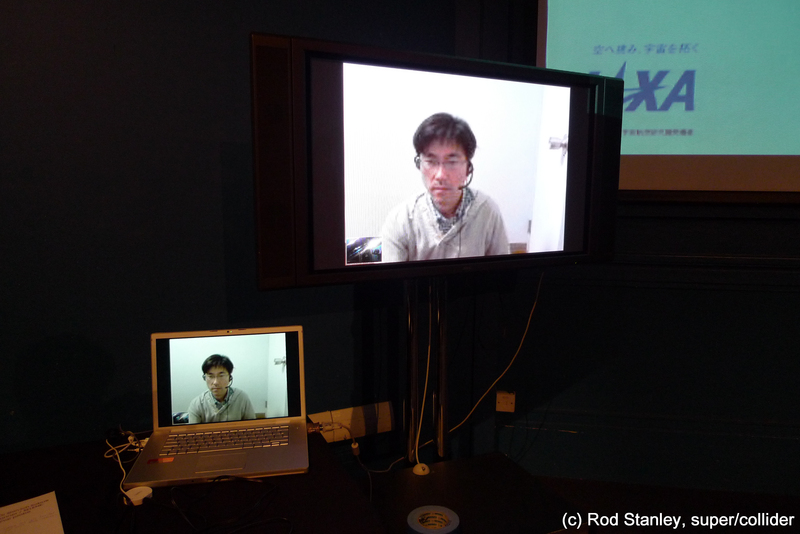 By the internet TV meeting from 6:00 a.m. of January 29 (JST), the Science Museum of UK as a part of event "about Japan" from Japan. There were participants more than 150 people interested seem to have watched about the KAGUYA and a beautiful picture of HDTV shown locally on that day. Update the messages from Project Manager. "KAGUYA Image Gallery" Gravity Anomaly Map from the RSTAR (OKINA) was added. Aug. 1, 2008: LALT topographical map for ODDS. LALT (Laser Altimeter) topographical map for "Lunar Satellite Orbits 3D" and "Lunar Surface Map" in ODDS (Orbital Data Distribution System). Jul. 31, 2008: JAXA Video was opened. Report & Column in ISAS webpage. Jul. 18, 2008: JSPEC website was opened. "KAGUYA Image Gallery" The Terrain Camera (TC) image of Apollo 15 landing site was added. "KAGUYA Image Gallery" The moon image by High Definition Television (HDTV) was added. "KAGUYA" pamphlet update on Download page. NASA, the Planetary Society in Pasadena, Calif., and the Johns Hopkins Applied Physics Laboratory in Laurel, Md. are said with an opportunity to send "personal name" to the moon aboard the Lunar Reconnaissance Orbiter, or LRO. When name is input with the private sight, the name entered into a database and the database will be placed on a microchip that will be integrated onto the LRO scheduled for launch in late 2008. 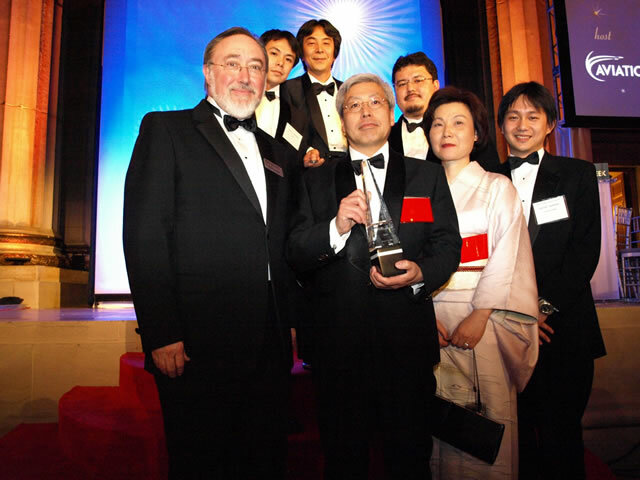 As a part of SPACE day event at Smithsonian National Air and Space Museum in Washignton D.C. in USA, KAGUYA HDTV movies will be shown on May 3, 2008. Apr. 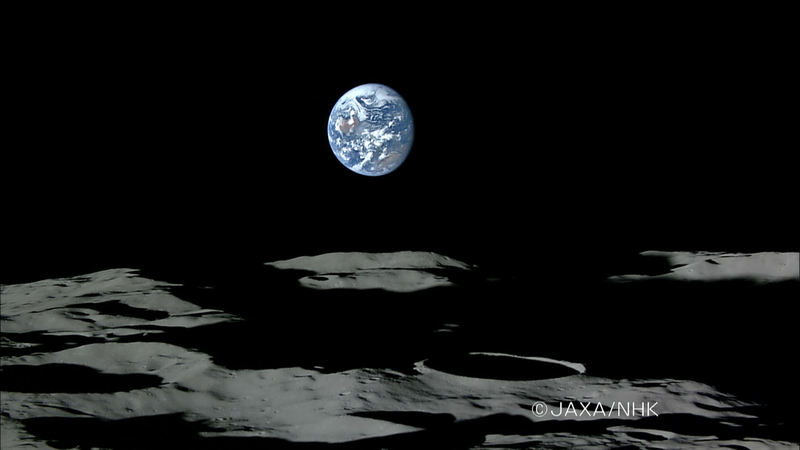 11, 2008: KAGUYA's high vision Camera captures "Full Earth-rise!" 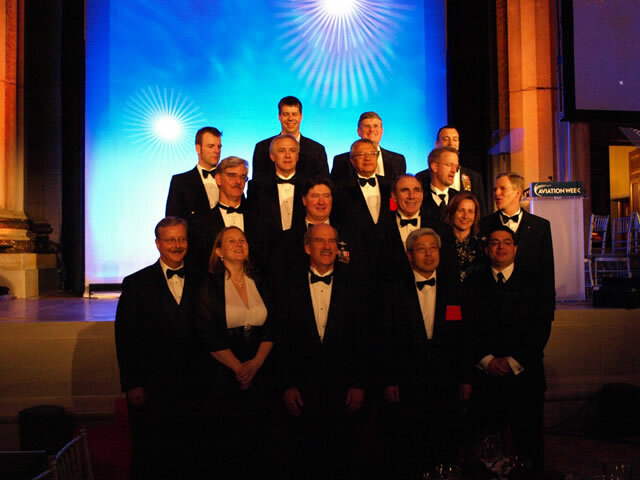 SELENE (KAGUYA) got aviation week laureate award for space on March 4. 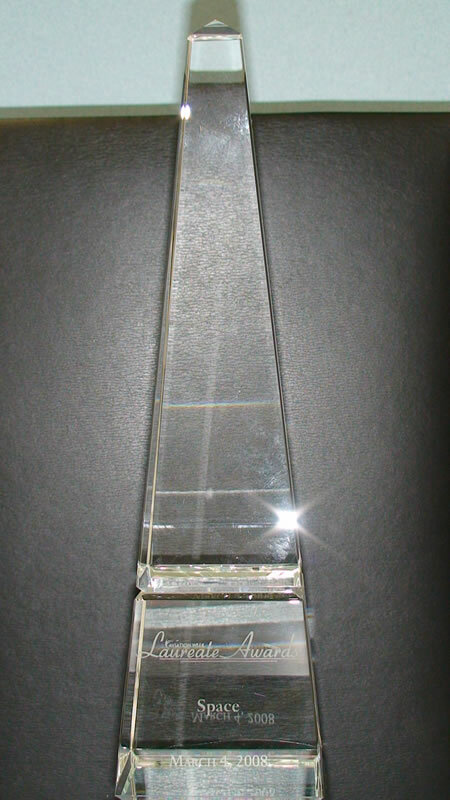 It may be first time to receive such award by Japanese mission. The following is brief wording from our acceptance message. 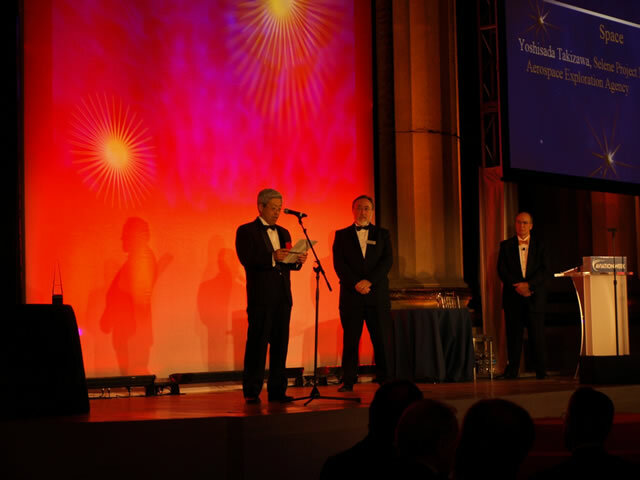 We are very proud to accept this award on behalf of the SELENE project team, on behalf of JAXA, and on behalf of all agencies worldwide engaged in the endeavour of broadening the knowledge, experience and horizons of the human race through the exploration of the space around us. SELENE was launched in September 14, last year and represents the largest lunar mission since the Apollo program. Missions of this size and complexity are not without their problems and setbacks, but we are proud in overcoming these and enduring adversity to ensure a successful launch and operation of the spacecraft. SELENE will investigate the entire moon in order to obtain information on its elemental and mineralogical composition, its geography, its surface and sub-surface structure, the remnants of its magnetic field, and its gravity field. The results are expected to lead to a better overall understanding of the Moon's birth and evolution. Substantial data has already been gathered since we confirmed the operational phase in last December and SELENE mission team members are hard at work to interpret the findings. In addition, we believe that you already had a chance to see the beautiful Earth rise and Earth set high vision movie obtained by SELENE and the movies provide a message the importance of our one fragile small blue planet "Earth". 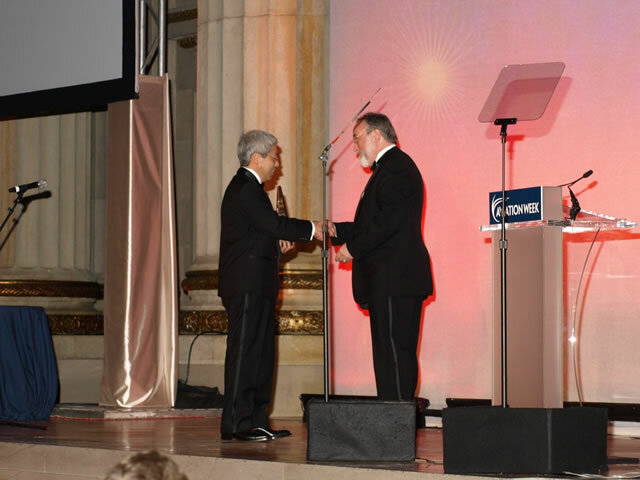 Japan looks forward to increased cooperation among our exploration efforts with our international partners. 2nd SELENE Working Team meeting was held at Tokyo during January 15 - 17. About 100 SELENE domestic and foreign scientists met together. SELENE project reported the successful results of SELENE critical phase and initial check out, first lights images, operational plan for nominal operation period, data policy, and education and public outreach activity. SELENE principle investigators reported the successful initial check out results with first light data. In addition, SELENE scientists also reported their early study results and research plan. Participants realized the beginning of the Moon scientific study with SELENE data. The next SELENE work team meeting will be held early next year to discuss about the SELENE accomplishment during nominal operational phase by this October. JAXA is pleased to announce that the operation mode of the lunar explorer, KAGUYA (SELENE), was shifted to regular operations from its initial verification on December 21, 2007 (Japan Standard Time) as we were able to acquire satisfactory verification results for all fifteen observation missions. JAXA verified the Spectral Profiler (SP) onboard the lunar explorer "KAGUYA" (SELENE) orbiting approximately 100 km above the lunar surface, through initial observations on November 3, 2007, and subsequent data analysis. The obtained data is the world's first continuous reflectance spectra of the far side of the Moon in the visible and near infrared region. The first light images of Terrain Camera (TC) and Multi-band Imager (MI) were captured and processed on November 3, 2007. By using those images, the functions of TC and MI for initial check out are being verified. Nov 14, 2007: "Earth-rise" and "Earth-set" movies were taken by the HDTV camera on KAGUYA. The "Earth-rise" and "Earth-set" movies are taken by the HDTV camera on KAGUYA during the initial check out phase of KAGUYA. We use the expression "Earth-rise" and "Earth-set" in this page. However, someone on the Moon could not see Earth rising and setting - because the Moon always faces the same side of the Earth. However, someone on a moon orbiter such as KAGUYA, can see the "Earth-rise" and "Earth-set" because the orbiter travels around the Moon and changes the angle of view to the Earth. 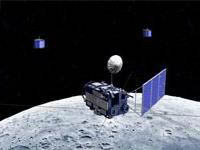 West side of "Ocean of storms"
"KAGUYA (SELENE)", flying around the moon, successfully extended the 12m Lunar Magnetometer (LMAG) mast, two pairs of 15m Lunar Radar Sounder (LRS) antennas, and deployed the gimbals of Upper Atmosphere and Plasma Imager (UPI). Oct 21, 2007: 3 axis control mode oriented to the center of the Moon is applied to "KAGUYA". The lunar explorer "KAGUYA" (SELENE), has applied 3 axis control mode to observe the Moon's surface at all times using mission instruments. From now on, the satellite will move to the initial check out phase to verify its onboard mission instruments by mid December. After that, it will be nominal operation mode to start nominal observations. Oct 12, 2007: KAGUYA releases VRAD satellite. The lunar explorer "KAGUYA" (SELENE) released one of its onboard baby satellites, the "OUNA" VRAD satellite, at 1:28 p.m. on Oct. 12 (JST). Oct 9, 2007: KAGUYA released the Relay satellite, and the monitor camera checked the release and took images of the Moon. On October 9, the lunar explorer "KAGUYA (SELENE)" released one of its onboard baby satellites, the Relay satellite (Rstar,) at 9:36 a.m.(JST) In addition, the KAGUYA onboard camera (to monitor its high-gain antenna) captured images of the Moon's surface. Moon images taken by one of the KAGUYA's onboard cameras, the high-gain antenna monitor camera. 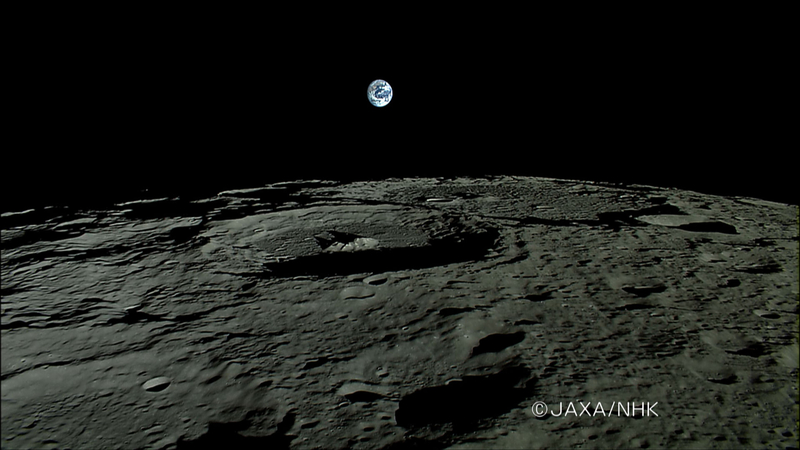 The image was taken around 3:10 p.m. on Oct. 5 (JST) about 800 km from the Moon. Oct 5, 2007: The first lunar orbit injection maneuver (LOI1) of KAGUYA was performed successfully at 6:20 a.m. on October 4, 2007 (JST). We would like to report that KAGUYA delivered the messages and signs collected from 412,627 people through the - SELENE "Wish upon the Moon" Campaign - to the Moon. 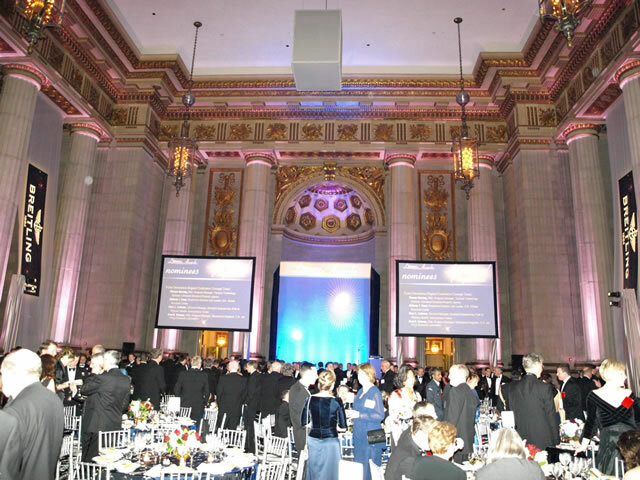 We would like to express our profound appreciation again to all participants. Oct 1, 2007: Crescent Earth movie was taken by the High Definition Television (HDTV) onboard KAGUYA. Sep 14, 2007: "KAGUYA" was launched ! "KAGUYA" was launched at 10:31:01 a.m. on Sep. 14, 2007 (JST) from Tanegashima Space Center. 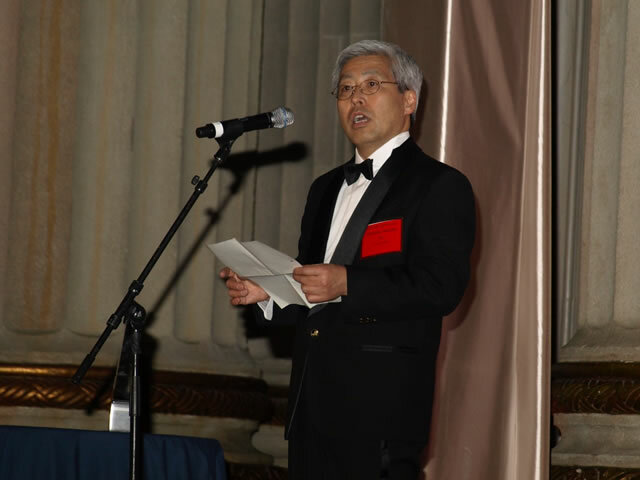 SELENE (KAGUYA) project pursues international collaboration to promote Moon science and future lunar utilization. International partner agencies members are welcomd to join the historical moment of the SELENE launch. LRO project members are one of them and they also make their blog report to inform of the SELENE launch in cooperation with the planetary society with the following URL. 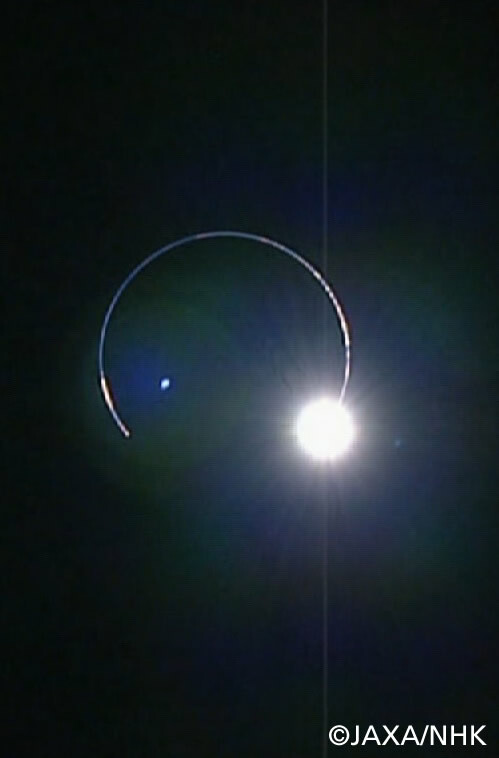 SELENE project is also received support messages from the German Space Agency (DLR). SELENE (KAGUYA) will be launched soon. On Aug. 26, the "KAGUYA" was mated with the Payload Attach Fitting (PAF) a device to load the satellite onto the launch vehicle (photo 1), in the Spacecraft and Fairing Assembly Building 1 (SFA 1). Subsequently, on the 28th, it was encapsulated by a payload fairing 4S-type(photo 2). The encapsulated "KAGUYA" was safely transported to the Vehicle Assembly Building (VAB) in the early morning of Sep. 3. SELENE mission mark was attached to H-IIA launch vehicle to conduct the commercial utilization of H-IIA wall and to promote public outreach of SELENE mission. Aug 15, 2007: New Launch day of "KAGUYA"
The launch of the Lunar Orbit Explorer "KAGUYA (SELENE)" by H-IIA Launch Vehicle No. 13 (H-IIA F13) was rescheduled for 10:35:47 a.m. on September 13 (THU), 2007 (JST). SELENE HP is also accessible with the following kaguya's URL (Kaguya is Japanese SELENE's nickname). Those who come to Tanegashima space Science Museum in Tanegashima Space Center are folding a piece of paper into the figure of a crane birds praying for the "KAGUYA" successful launch. 2,000 crane birds or more have gathered now. There are some crane birds in which the message is put in the inside and we felt that there are big expectation / wish from people. 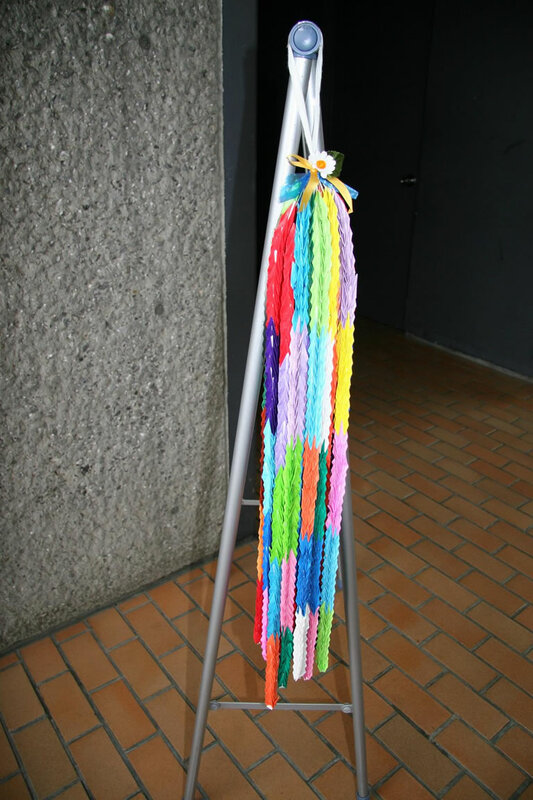 As for the folded crane birds will become a "Senbazuru (*)", it is scheduled that it brings together, and the bulletin them on the wall of RCC when "KAGUYA" launch. Please join the event when you come to the Tanegashima. (*) "Senbazuru (One thousand paper crane birds)"
The crane bird(tsuru) has been a symbol of longevity along with the tortoise (kame) for centuries. The former was believed to live for a thousand years, and the latter ten thousand years. In its contemporary sense, the word 'senbazuru' commonly refers to strings of folded-paper (origami) crane birds. Customarily, one thousand small paper crane birds are folded with a prayer wishing for the quick recovery of a sick person. The folded paper crane birds are meant to show the maker's care and concern for the sick person. When a thousand paper crane birds are made, they are tied together with a few strings and presented to the sick person, who hangs them in the room for decoration. After finishing re-assembly of KAGUYA at Tanegashima, JAXA invited mass media to show the KAGUYA to press opening to the public on June 18th. KAGUYA project members were a little bit worried about the bad weather in that day with lightning warning in the morning. Fortunately, just before the press conference, the weather became clear with blue sky. There were more mass media crews than in the past satellite press conference. 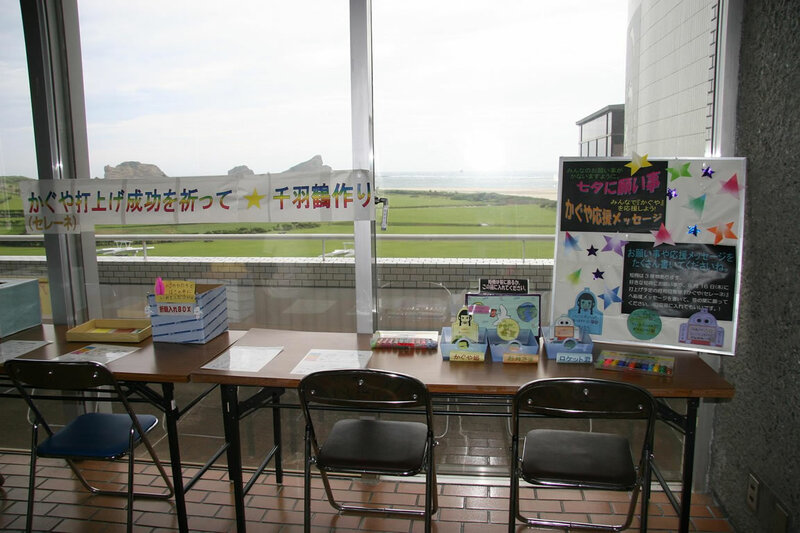 * Photo shows the launch viewing site and KAGUYA (SELENE) in TNSC. June 13, 2007 Launch day is set! Special site is open! The launch day and time of the lunar explorer KAGUYA(SELENE) and the "H-IIA Launch Vehicle No. 13" is set at 9:30:48 a.m. on August 16, 2007 (JST). June 6, 2007 "KAGUYA" selected as SELENE's nickname! The nickname for the lunar explorer SELENE, which was solicited from the general public, has been selected as the "KAGUYA.". "The Wish to the Moon" name-sheets with about 410,000 name and messages were delivered to TNSC on May and attached on June 5th. They were attached just under the Solar paddle and coolers. Unfortunately, we could not see name-sheets because they were covered with MLI. However, they definitely are on SELENE and will go to the Moon. The re-assemble and test for SELENE is ongoing at TNSC. To prepare the coming Launch on August 16th, launch preparation is ongoing with H-IIA launch vehicle. SELENE project members saw the beautiful sea from Tanegashima instead of the Mountain Tsukuba and realized that SELENE launch would be soon. The SELENE satellite support facility was built and opened to prepare for, train for, and support SELENE operations at the Sagamihara campus of JAXA. SELENE staff realized that SELENE launch would be soon when we started to use this facility. 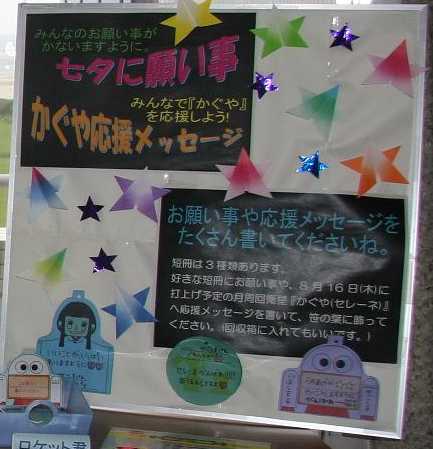 At the public open day of Tsukuba space center, SELENE project showed the SELENE flag on which guests can write messages and names. We got a lot of endorsement messages. 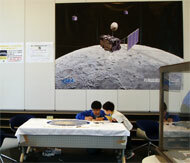 SELENE flags are also used for the same purpose during JAXA public open day events in other JAXA's centers. The flag which in the future, everyone moves aside and writes is the schedule which puts out in the SELENE operational room and the like. In addition, the similar event was executed even at the other office. Thank you for cooperating. SELENE safely arrived at the Tanegashima space center late in the night of March 30. The bottom is a photo of when SELENE arrived at Tanegashima The SELENE project staff were glad to hear of the safe trip of the spacecraft from Tsukuba to Tanegashima. From now on, assembly working of SELENE is ongoing to prepare the launch in Summer. SELENE left Tsukuba Space Center for Tanegashima on 5 large trailers on March 26, 2007. The SELENE project staff including the project manager, said farewell with wishes for a safe trip to Tanegashima.